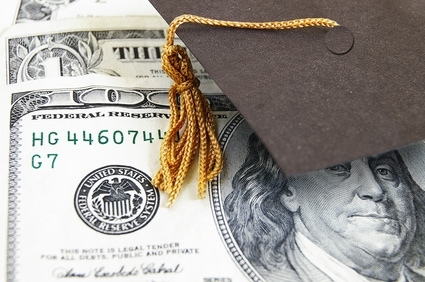 Should the Treatment of Student Loans in Bankruptcy be Changed ? Daniel A. Austin of Northeastern makes an argument in an article in the Santa Clara Law Review that the bankruptcy rules regarding how student loans are dealt with in bankruptcy should be changed. He argues that the student loan debt should receive a “fair market value” determination at the time of the bankruptcy filing and that portion of the debt that is determined to be the fair market value would be deemed non-dischargeable and the balance of the loan would be deemed a general unsecured debt which would be dischargeable in a Chapter 7 bankruptcy, and presumably, paid a percentage back in a Chapter 13 bankruptcy, as credit cards and medical bills, for example, are now. The “devil is in the details”, as they say, and we will have to wait until we review the full article to see, but I think it is a proposal that merits a look by Congress. As the author points out, 37 million Americans owe over 1 trillion dollars in student loan debt. Unless something is done to address this, an entire generation of young Americans will never be able to see above water.